Acashmere goat is any breed of goat that produces cashmere wool. Cashmere wool is a goat's fine, soft, downy, winter undercoat used for commercial use. In the 19th Century, a Scottish manufacturer, Joseph Dawson, developed the first mechanical method of separating the fine down fibers in the goat's fleece from the coarser outer hairs. This breakthrough shifted the cashmere manufacturing to Scotland and the modern era of fine cashmere knitwear began. Cashmere production is a new industry for the United States. 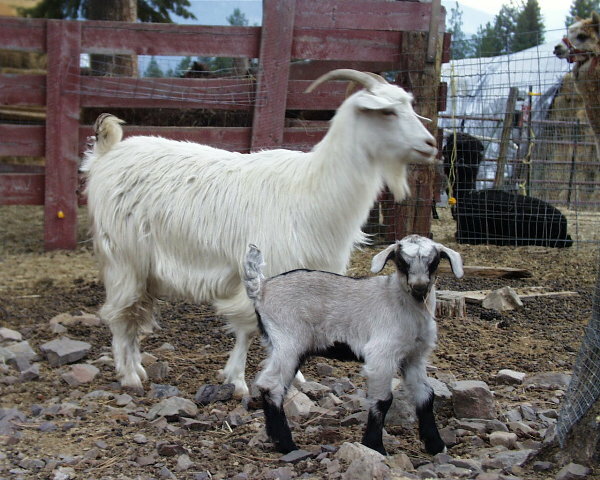 The first Cashmere goats were imported from Australia and New Zealand in the late 1980's. Since then several Cashmere breeders and growers have been producing breeding stock to launch this new industry in the US. They are sheared once a year and a full grown adult buck will yield as much as 2.5 pounds of fleece. The fleece consists of two kinds of fiber, cashmere and guard hair.